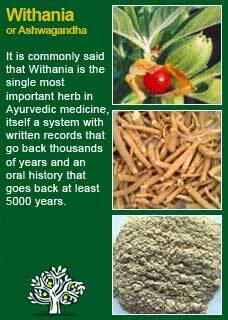 It is the roots that are used in medicine, usually from plants that are at least 4 or 5 years old. 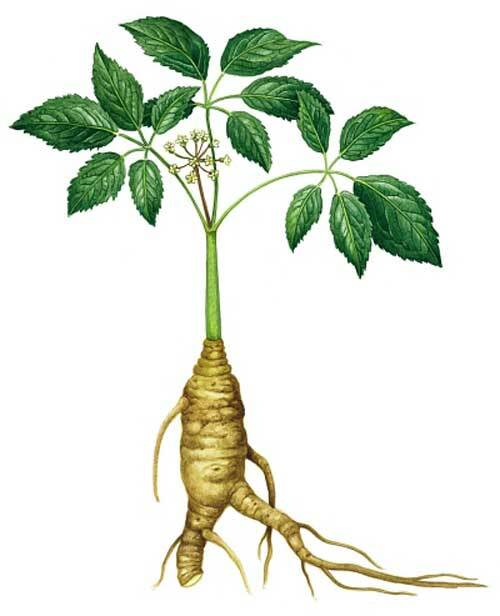 Panax Ginseng is a small but long-lived herb with just a single stem and few leaves depending on the age of the plant. The first year of growth Ginseng has only one leaf and three leaflets, by the fourth year it will usually flower for the first time. The flowers are white, and the berries are red. This slow growing and unassuming plant is revered the entire world over by those who know its virtue. 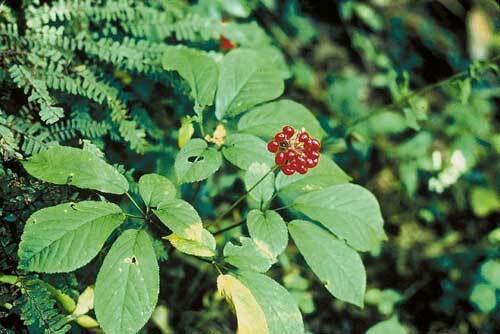 Panax Ginseng is known as ‘Renshen’ in China, ‘Ninshin’ in Japan and ‘Insam’ in Korea. These names roughly translate to the ‘fountain of youth’. Ginseng has been so revered in these places that the highest quality roots have been worth more than their weight in gold. Ginseng is widely used in Eastern medicine for people that have sustained a severe loss of ‘energy’ (known as Chi or Qi), through illness or injury. 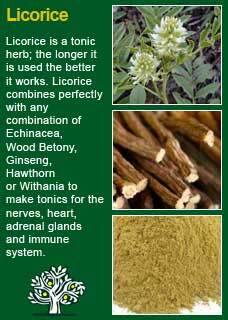 Ginseng is used in this regard to restore strength when people have become physically exhausted or weakened. 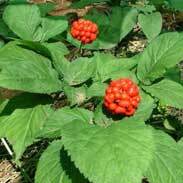 Ginseng is also widely used by the elderly of the East. There Is a deep appreciation of the herb’s ability revitalise the life force and offset some of the tiredness and decline of getting old. Ginseng has remained the most sought after and famous of all herbs in Chinese culture. The use of Ginseng has been recorded since 3000 B.C. though it surely will have been understood and used since even much earlier times. The British Herbal Pharmacopoeia (BHP) describes the actions of Panax Ginseng as 'thymoleptic ((antidepressant), sedative, demulcent, stomachic, aphrodisiac'. It says it is indicated for 'neurasthenia (tiredness, headache, irritability) neuralgia, insomnia, hypotonia (abnormally low muscle tone) and specifically indicated for 'depressive states associated with sexual inadequacy' The BHP recommends a dose of 1-2 grams or by decoction. Thomas Bartram writes that the actions of Panax Ginseng include 'enhancing the natural resistance and recuperative powers of the body. Produces opposite effects; i.e. it is both sedative and stimulant; in some it raises, in others it lowers. blood pressure, raises some cholesterol factors while reducing the overall amount in the blood. Heart-tonic, aphrodisiac, old age re-vitaliser, adaptogen. Bartram suggests uses for it including 'physical weakness, neurasthenia, recovery after surgery, promotes physical and intellectual efficiency. A mood-raiser. 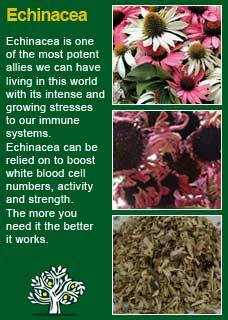 Induces a feeling of well-being and stability. For depression, sexual debility and sleeplessness. The sportsperson's remedy, improving running ability and endurance. Increases resistance to excess cold or heat exposure and to a working environment with a noisy background. Lessens side effects of insulin in diabetes. To help the body adapt to a changed environment, e.g. jet-lag. Enhances mental performance in students' Bartram recommends a dose of half to one gram daily of the powder. 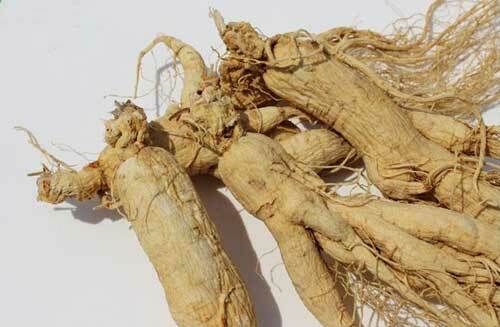 Panax Ginseng figured prominently in the first great Chinese herbal (the Pen Tsao Ching; the Classic of Herbs) compiled by the mythological emperor/sage Shen Nung. Here it was recommended for enlightening the mind and increasing wisdom and noted that continued use leads to longevity. 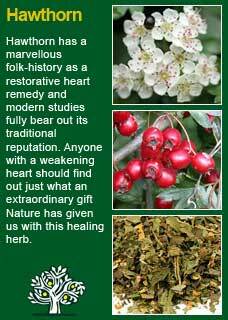 ‘Panax’ comes from the Greek word 'Panacea', meaning to 'cure all'. 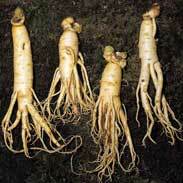 The word ‘Ginseng’ translates to 'man-essence' because the roots of ginseng often resembles the shape of a man’s body. 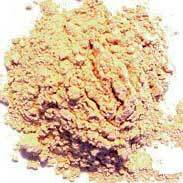 Panax Ginseng is not to be confused with Siberian or American Ginseng, those are great herbs in their own right but Panax is in a class of its own. It is the true 'Emperor Ginseng', in many ways the greatest tonic of all Chinese medicine. Ginseng is one of the most revered herbs on earth for the elderly, and at least in part because of that, it has been categorised as a herb not well suited for younger people, I agree that it would be a poor fit for a typically high-energy child, one who doesn't much feel the cold and is already getting plenty of stimulation. However, note that It has been widely used in the Orient for the young when there is a need to stimulate growth or assist with challenging times (such as in exams) and I am sure that it can be safely taken by a younger person who actually needs its unique tonic properties. Ginseng is unlikely to be used in pregnancy, not because it would be expected to do harm to the mother or the baby or because there have been any adverse events reported, but because it can have such deep effects on the hormonal system and we all just prefer to play it safe at such times. I have often used Ginseng as part of a morning regimen for people who are not sleeping well, who are agitated, stressed, hypertensive, wound-up too tight etc. From repeated observation of safe and effective use, I reject the caution in some quarters that Ginseng cannot be used for a person who is overly tense and stressed, in fact quite the opposite, I see that it can be of great aid in helping them regain their health, especially if some counterbalancing relaxing herbs are being taken later in the day or at night-time, and other necessary measures are being taken to address and reduce the stress. I use a very great deal of Panax Ginseng in my work and consider it to be one of the most versatile and powerful of all the tools that Nature has given us to help with the all-too-common fatigue that can insinuate itself into every nook and cranny of life. I know that there are literally hundreds of Ginseng products in the herbal market-place. Many of them will no doubt be of good quality, but it is a sad fact that, given the considerable expense of this particular medicine, far too many contain adulterated or poor quality root (this has been proven in consumer studies on a number of occasions). For this reason, we get all of our Panax Ginseng root from a highly reputable and certified supplier and we make our own medicines from it here in the clinic. If you don't already know this, you may need to know that we do not sell any products commercially or online, that is not what this site is about, I mention this because I would similarly encourage anyone wanting to be sure they are getting the right stuff to get in contact with a herbalist or specialist herbal supplier. I use some liquid Panax Ginseng as an extract, I sometimes give it as a powder to make into a slurry, but by far my main use of Ginseng is in capsule form which we get made up for our clinic where it is combined with another of the greatest of all tonic herbs; Withania root. The action, the 'energy' of Ginseng is really quite extraordinary, and I well understand why it is so revered in Eastern medicine as it nourishes at such a deep cellular level. Many people start to feel a benefit from it after just a few days, but I nearly always like to give quite a long course of Ginseng to my patients. Once the patient gets the rhythm of taking a daily dose they rarely want to stop, at least for a while, as it so reliably improves their energy and sense of well-being. I usually advise my patients to use Ginseng for about 3 months, and longer if they feel they need it, and then I usually advise them that, once the 3 months are up or if they feel they have been on it for long enough, to then let it run out and allow their body to take a break from it. Eventually, for most people, when they have taken as much as they need, there will be no palpable effects when the Ginseng is stopped, it is not addictive, and it has no constituents within it that create any kind of dependency in any part of the body. I have noted in some of my patients who take Ginseng that, if they still need its support, then usually within a few days, or a week at most, they report that they keenly feel its absence. It has been striking how this is clearly not an uncertain, wishy-washy matter for them. They either miss it at a physical, notable level, or they don't. Perhaps as much as another 'season' i.e. another 3 months may be required, that's ok, they can always try again later, to stop and see if they still need it. My patients are assured that that they are welcome to use for it as long as they like and to trust their own body to guide them in this matter. In keeping with its traditional use, I also recognise that if a person has become old enough, or unwell enough, they may prefer to just keep using it, that's ok too. If you who are reading this are studying herbal medicine or just want to know this plant ally at a much deeper level for your own reasons then I warmly encourage you to take a dose of Panax in the form of its tincture, a strong tea or a half tsp of its powder mixed in water and then, with a quiet and attentive mind, observe for yourself how it makes you feel. This ancient method of 'experiential' learning can give an appreciation of the 'action' of the remedy that no amount of academic learning can reach. 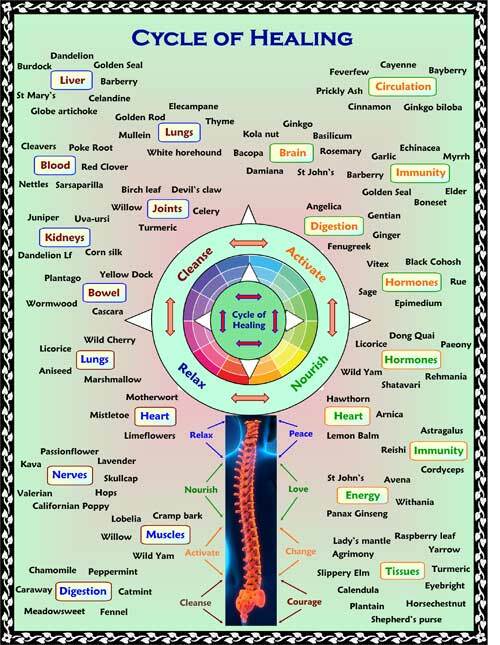 You will have to try this for yourself if you are open to making the experiment but, speaking from personal experience and having done this with students and colleagues, I can say that the 'feeling' of this root medicine is sure and deep. It is truly a great ally to the tense, the tired, and the aged. Panax combines perfectly with other great tonics such as Withania root, Licorice root, Hawthorn and Echinacea. Much of the information here about the traditional uses of Panax Ginseng is consistent with the model of thinking whereby one may treat problem A with plant B. There is value in this approach, especially in how it helps us pass on useful knowledge to one another, but it falls short in one vital area; and that is that people are not all cut from the same cloth! Something that works brilliantly for one person may do less for another -- why is this?